I’m not a frequent re blogger but I really enjoyed this exhibition. It has 70’s wrestling, social commentary, the apocalyptic painting of ‘Mad’ John Martin and the family history of Noddy Holder from Slade. It’s basically my life story in an alternate parallel universe. 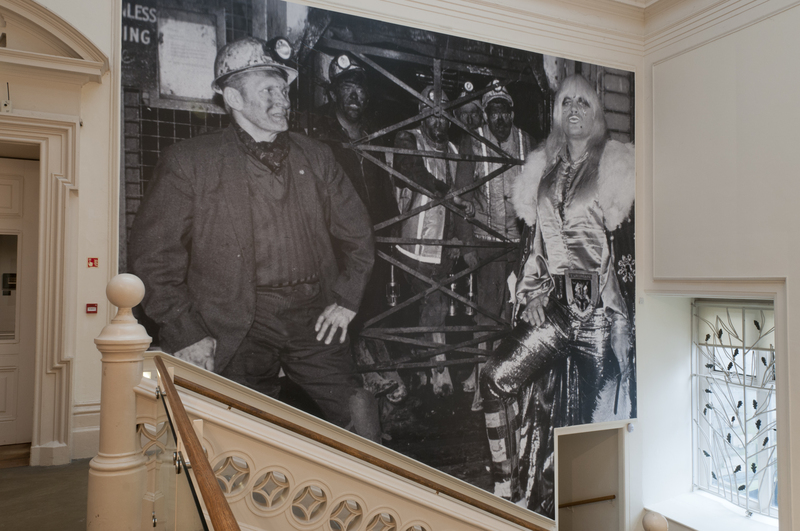 Currently on display at Nottingham Castle Museum & Art Gallery is a curated exhibition by Turner Prize-winning artist Jeremy Deller. In ‘All That is Solid Melts Into Air’ Deller explores the roots of working class musical culture, from 19th century industrial folk to glam and heavy rock music in the 70s and 80s. The exhibition combines contemporary works with a vast range of objects and images, from historical paintings depicting factories and forges to oppositional broadsheets, political tracts, poems and popular ballads against exploitation.